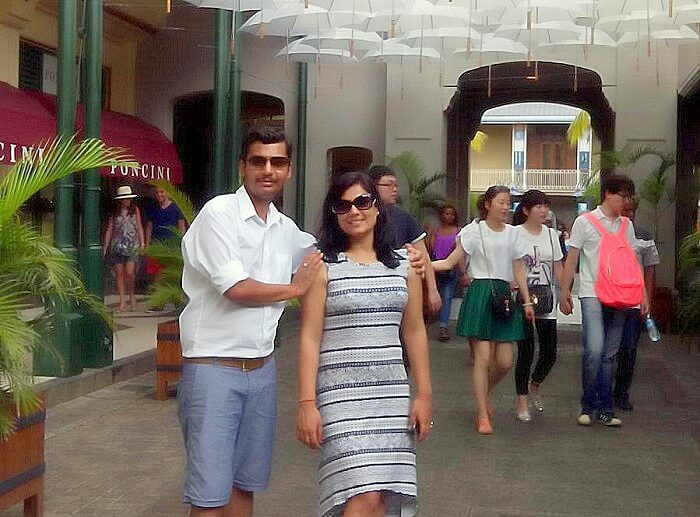 Manuj Agarwal talks about his honeymoon trip to Mauritius. 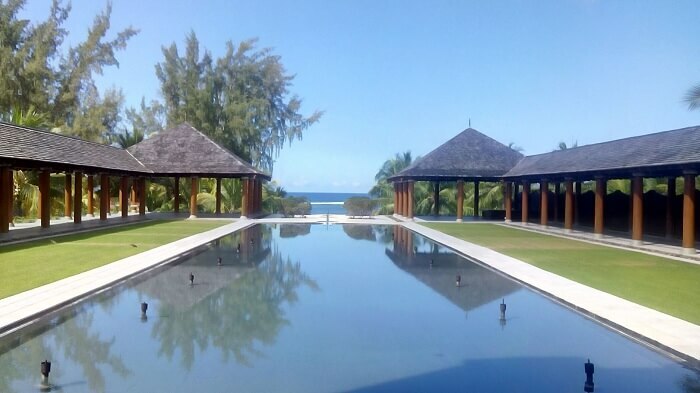 He elaborates on his amazing experience there and describes the incredible hospitality that he received at his resort ‘Outrigger Mauritius Beach Resort’. 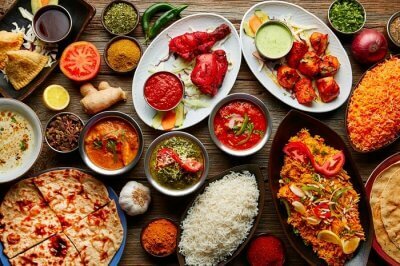 He booked his package via TravelTriangle and it included his sightseeing, transfers, flights, and hotels – all for a cost of INR 174,000. This was my honeymoon trip and my wife and I were looking for a warm destination to relax and enjoy each others company. 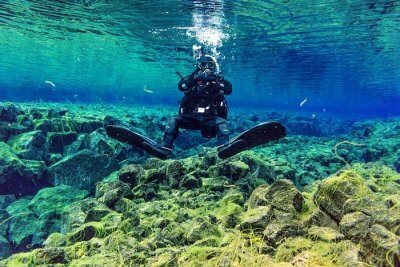 The northern hemisphere in winter months was cold and mostly covered in snow hence, we took to the southern part of the earth. 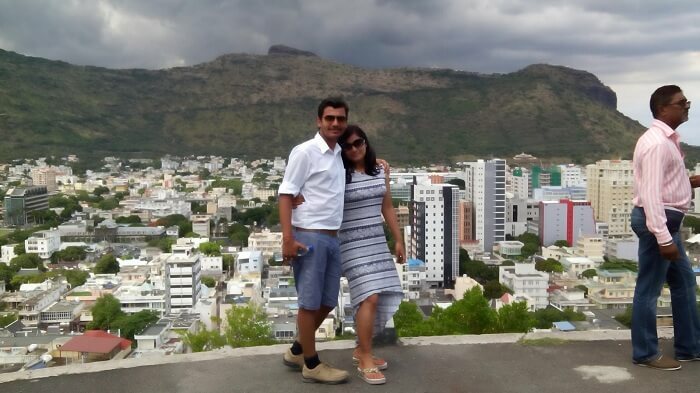 We had options like South Africa, Bali, Mauritius etc and out of those we chose Mauritius since we had heard a great deal about its beauty. I found TravelTriangle via a friend of mine who owns a travel agency. I also saw their Facebook ad and ultimately decided to give them a try. True to their promise, I received multiple quotes and itineraries matching my requirements within a few hours. I chose the best one from ‘I Need Trip Travels Pvt. Ltd.’ and was soon sorted when it came to the land and air package. 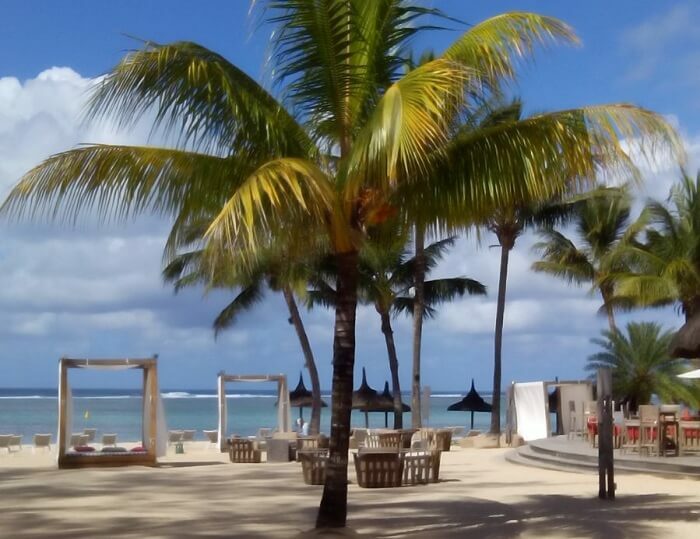 We landed in Mauritius and after exchanging our currency, went to the resort ‘Outrigger Mauritius Beach Resort’. This was an excellent property and we liked its open spaces and rich architecture. On checking in we had left some money in the room and unfortunately when we came back, it wasn’t to be found. I reported the incident to the hotel authorities and they promised full cooperation. After the Investigation Officer was done examining, we were refunded our money and assured that they will find the culprit as soon as possible. This incident instilled confidence in me about the services and hospitality of the resort and everything after this was a breezy experience. 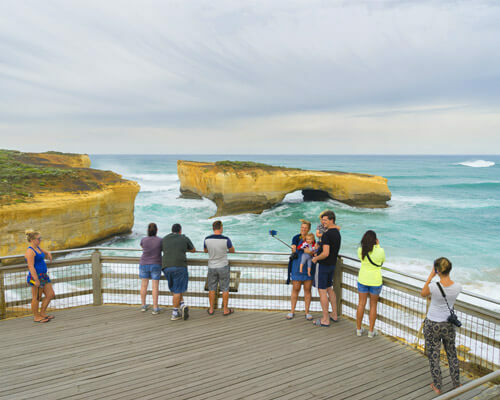 We were taken to the South Island Tour this day and it was a good experience if not great. 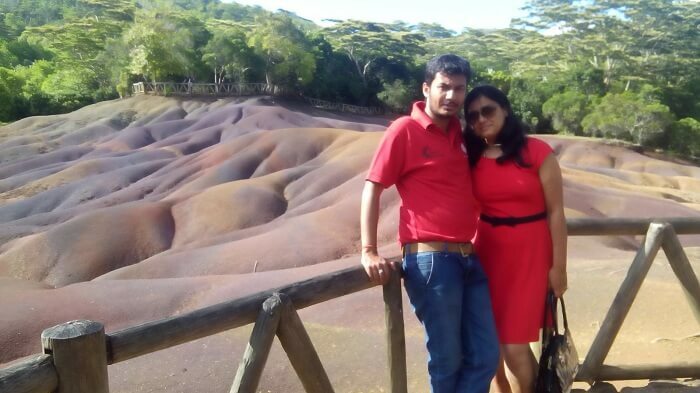 It included a visit to the Shiva Temple and Chamarel and Grand Basin – a small area of 7 colored sand dunes formed through a natural phenomenon. Back in the hotel, we enjoyed a splendid dinner in the ‘Rouben’s Wine Room’ – a wine cellar showcasing the finest wine from all over the world. We booked it for a special romantic dinner and it was an amazing experience. This was a leisure day and we spent it inside the resort only. 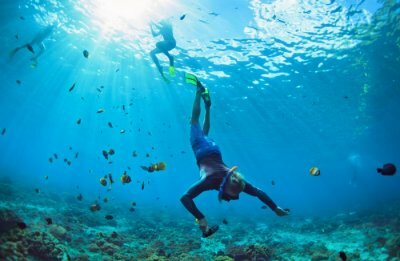 It turned out, that this resort was a great property with fantastic beaches and we were enjoying here more than the country tours. It was a perfect backdrop for me to spend some quality time with my wife. This was the day we were taken to the Ile Aux Cerfs, an island that offered water sports activities and sightseeing. 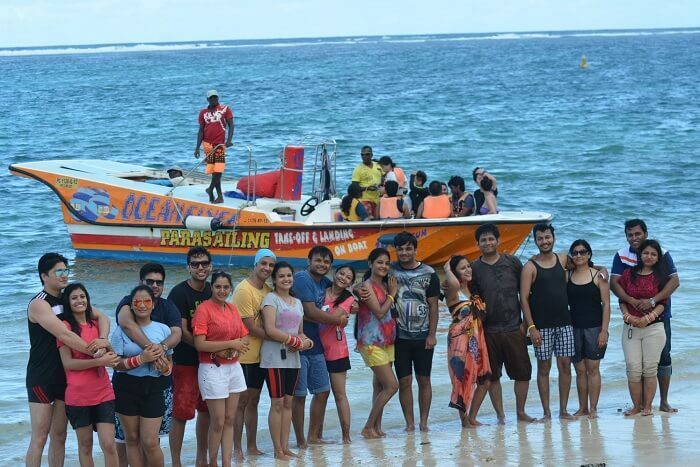 We did parasailing, scuba diving, tube ride and speed boat ride. It was a good experience for both of us and we enjoyed it. We also explored the beaches there and visited the waterfalls. 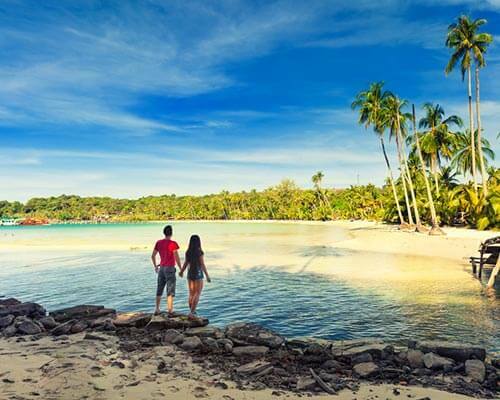 Both my wife and I enjoyed the island since we could do some activities together in the scenic background of sea, sand, and lush greenery. 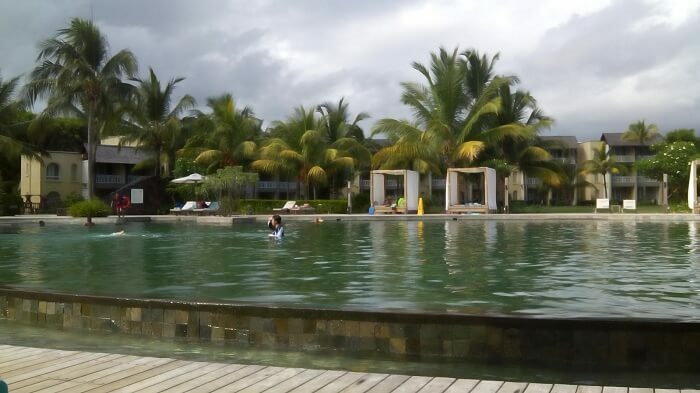 This was again a leisure day and we spent it in the resort only. We particularly enjoyed our extravagant breakfasts and dinners on the leisure days in the company of each other. 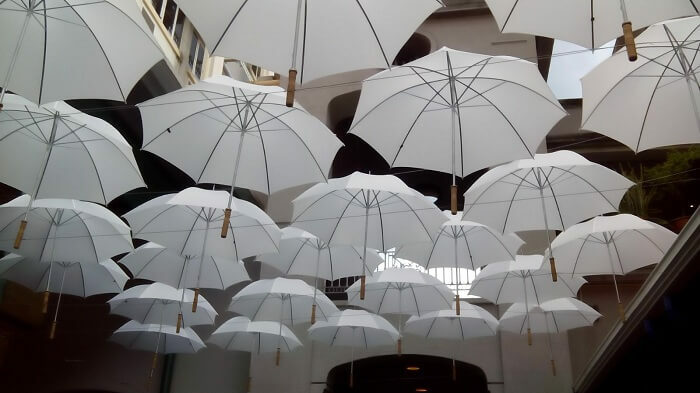 The hotel staff and chefs were polite and very hospitable – we were in the lap of luxury. 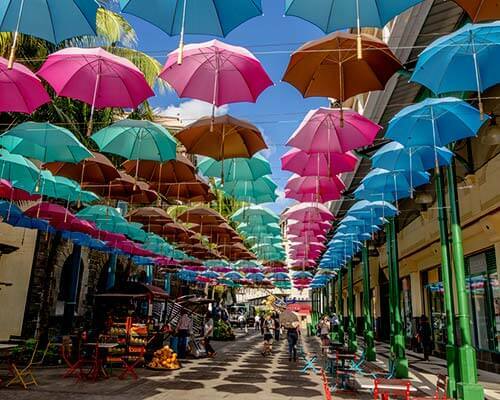 We were taken to the North Island Tour to witness the urban side of Mauritius in Port Louis. 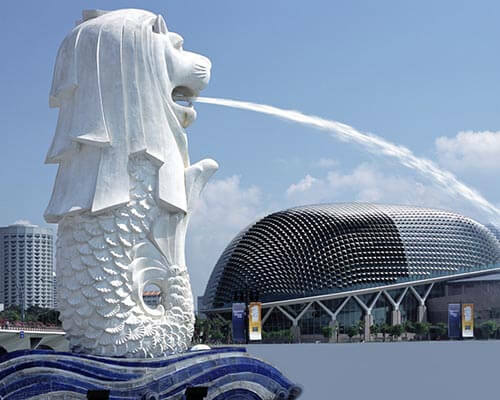 We did shopping and saw the local attractions there and it was an average experience. 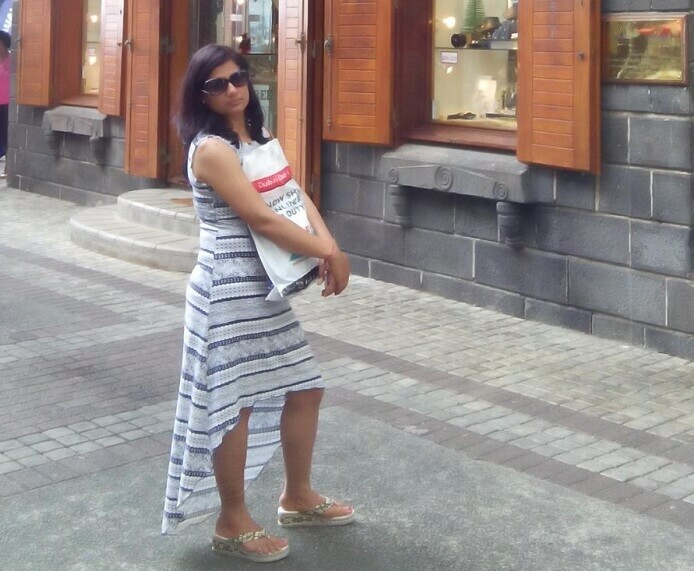 There were a lot of local shopping outlets and we did buy some souvenirs for our family and loved ones. Later, back in the hotel, we had a great time relaxing and chilling in the vicinity of the beach. We checked out after 12 Pm on this day and had a relaxing couple’s massage before leaving for the airport. 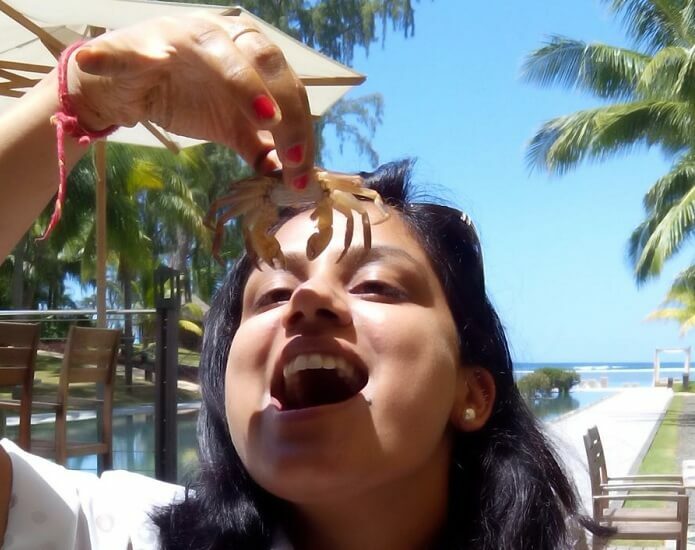 I had heard a lot about the sceneries and activities in Mauritius. 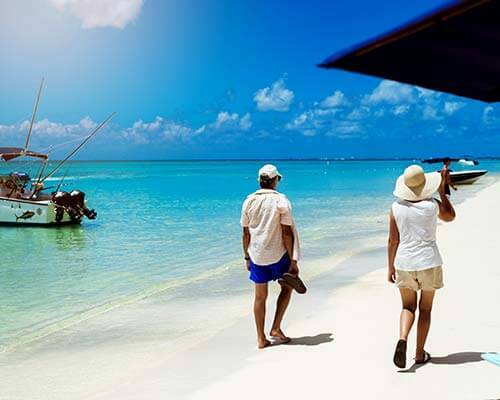 Our experience, however, was a bit different, more than the activities and the scenery, we enjoyed spending time in our hotel ‘Outrigger Mauritius Beach Resort’. 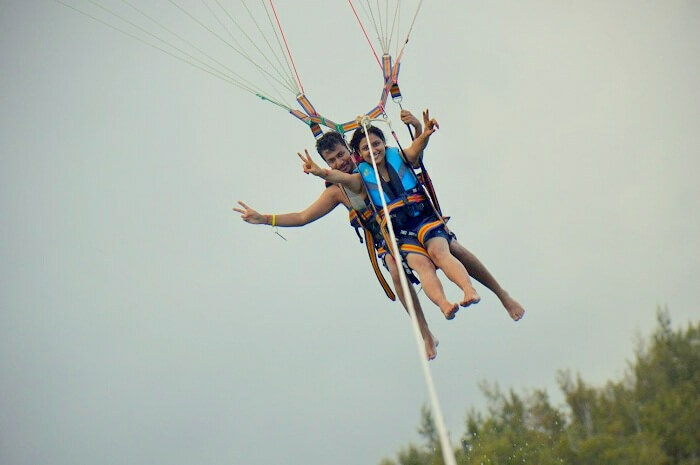 It was an excellent experience there and since we were in luxury and at ease, time flew like seconds. I enjoyed spending time with my wife and got to know her better. 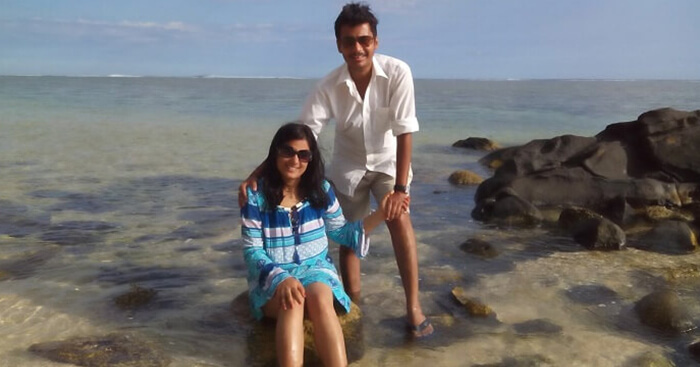 Mauritius brought us closer and I would forever remember it as a destination for love, luxury, and happiness. 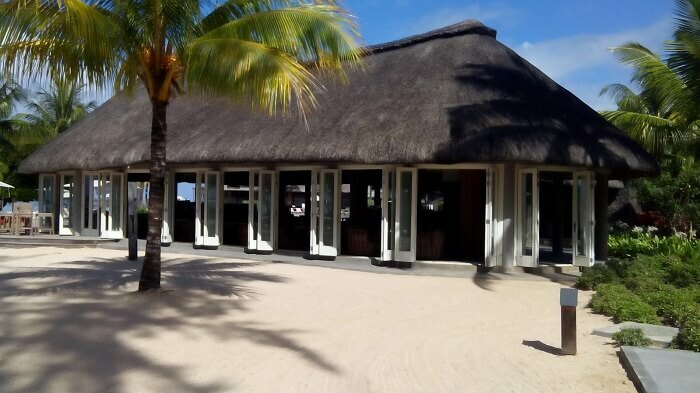 High Points – Our Hotel ‘Outrigger Mauritius Beach Resort’ and its excellent services and hospitality. 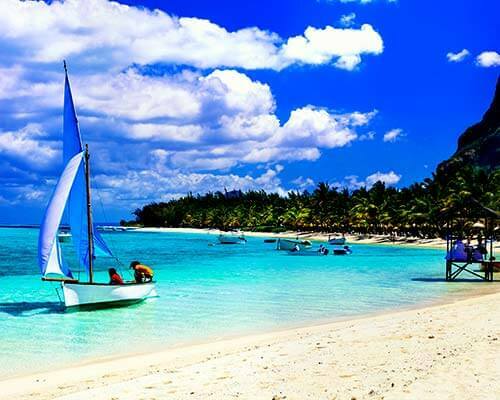 Ile Aux Cerfs, beaches and sceneries. The drivers and all at the airport were all in a hurry to get things done, barely giving us the time to settle down. 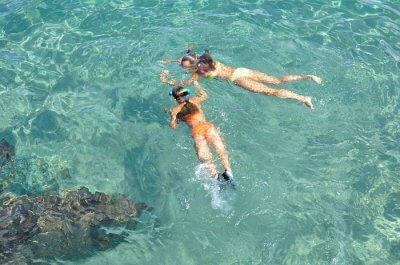 The water sports activities were average and so were both the North and South tour. Exchange your currency at the Indian Airport for better exchange rates. 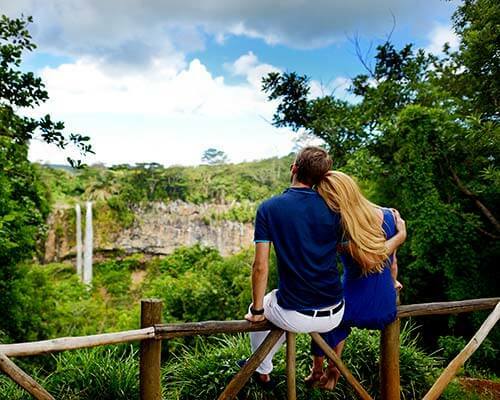 If you want to spend some good quality time with your loved ones, make sure you book a great hotel like we did since activities are subjective to taste and opinion. 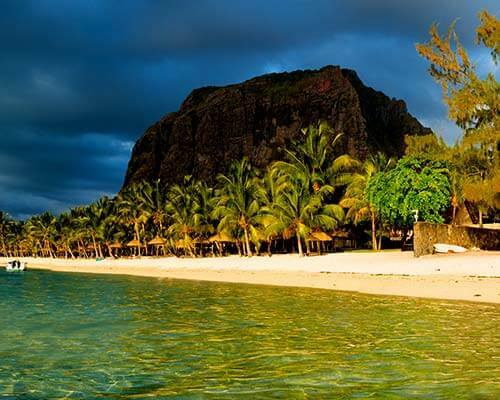 Indulge yourself in the natural goodness of Mauritius! 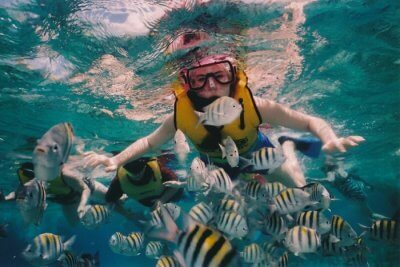 Click here for best packages to Mauritius!